A server is a type of computer that is designed to network with multiple ancillary computers and share files across those computers. In a business environment, one of the first issues to arise is how to network all of the employee computers together. Without this networking capability, employee computers would remain isolated from each other, with no efficient means of sharing files and data. Employees would then have to resort to flash drives, external hard drives, and cloud file-sharing in order to share data; all of these options have distinct disadvantages. A server creates a domain under which all computers in the domain are simultaneously connected at all times. Typically, a server has far more storage than any single employee computer, allowing it to function as a central repository of files for all computers within its domain. One of the most common ways that data on a computer can be permanently lost is failure of the hard drive. In a competitive business environment, this can be devastating to a company. There are a number of ways to protect data, such as periodic backups and cloud storage. However, servers are designed with a unique functionality; server hard drives are duplicated and mirrored across a Redundant Array of Independent Disks (RAID). 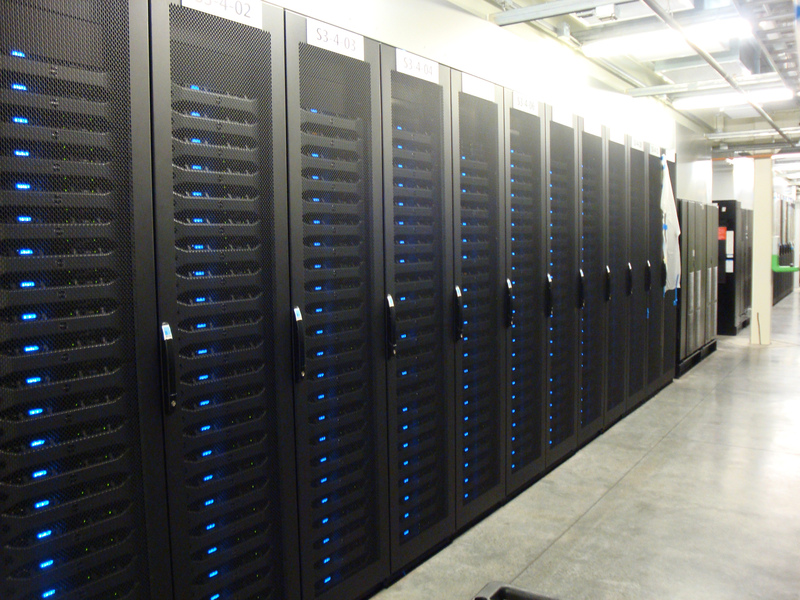 A RAID is a combination of multiple hard drives used to store data. 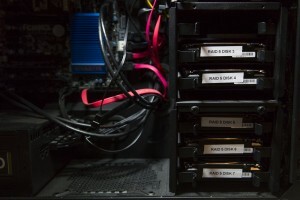 There is more than one form of RAID, but most servers use a combination of RAID 1 and RAID 0 to mirror and stripe data across multiple hard drives. RAID provides robust protection from hard drive failure; no hard drive is ever without a backup. This critical data protection feature will be available to your business if you choose to invest in a server. A server equipped with RAID provides a nearly fool-proof means of protecting business data. The probability of losing data stored redundantly across multiple hard drives is very low, but not zero. 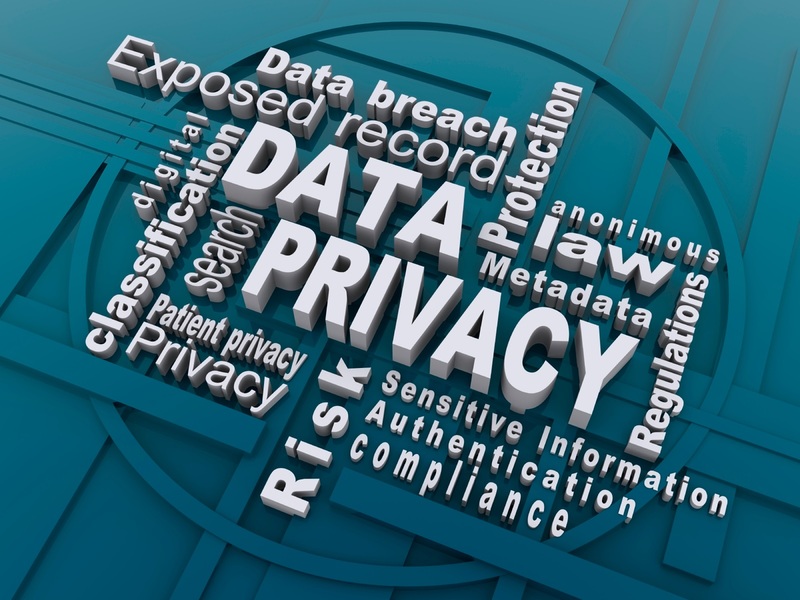 For some businesses, data protection is of such paramount concern that even a remote chance of data loss is unacceptable. In these situations, on-line backup is recommended to protect your company’s vital information. On-line backup provides a hands-free approach to protecting data. Every time new data are added to your server, an active backup will run to add the data to a cloud-based repository. The alternative is to back up the data to an external hard disk drive, but all HDDs require some up-keep and maintenance to verify that backups are actually being completed with no loss of fidelity. It is recommended that all data stored on a local computer be moved to the server. However, if something is stored locally, it will be protected on the server by the use of backups and system images. A system image is a complete mirror of your computer’s operating system. It allows a quick recovery of any failed system at your business. Using a system image, you can completely repair your computer’s operating system, documents, and applications with a few simple clicks of a button. This will prevent any significant downtime at your business should one of your computers crash and you need to get back on line as quickly as possible. As we have discussed elsewhere, most viruses are picked up from unsafe practices when browsing the internet, downloading files or accessing emails. Compared to standard Windows home operating systems (Windows 7, 8.1 & 10), Windows Server 2012 provides stronger security features and firewall settings. Thus, the risk of data loss or theft by hacker intrusion is mitigated with a server. You access your data and files from an outside location by either a VPN connection or local domain setup for your office network, but you never actually work directly off the server. A server is the ideal setup for protecting your company’s data and documents from loss or theft. There is never a worry that a failed hard drive or defective computer will end up costing you the vital records necessary to run your business. While security is the greatest feature a server has to offer, there are also some handy tools that can be set up on your server to better improve the work culture and efficiency of your company. A few questions seem to crop up a lot from our business clients, reflecting common themes in our modern work environment. How can I access my valuable data when I am not in my office? If I put all my business records on a server, how do I keep my employees from accessing sensitive data that are for my eyes only? How can a server improve the speed and efficiency of my office compared to other alternatives like cloud storage and external hard drives? Flexibility is a key driver in our competitive business culture. Sometimes we need the option to work from home as a matter of convenience or personal necessity. Sometimes we need to respond to business querries even when we are out of town or on vacation. A server can be set up to allow secure and efficient remote access to your company data by means of a Virtual Protected Network, or VPN. A VPN is a remote service through which an authorized user may access your business server to open, add or alter any documents from an off-site location. For instance, you may need to create a price quote, change a work plan, or update an analysis for your technician to access while working on a job in the field. You could send a file attached to an email, or perhaps save a file to a USB and send it to them via courier service, but the simplest and most secure alternative is for them to access the documents directly from their laptop computer using a VPN connection to your office server. This will provide both your employees and customers with a quicker, more efficient product and service with virtually no security risk. As a business owner with a new company server, you will need to be able to control access to sensitive data or documents. Fortunately, managing data access is easily accomplished through the use of Active Domain Users and their assigned accounts. Whenever a server is initially set up, your office network will be configured to work off of a specific domain that is controlled and maintained by the server. This will provide both security and improved speed when accessing documents from the server. Specifically, it will grant read/write access to account holders who have been authorized to fully manage the documents; it will grant read-only access to account holders authorized to merely view the documents; and it will deny access altogether to non-authorized account holders. So, for instance, your managers may have complete access to view and alter all documents within their business authority, while their direct reports may have variable access to alter and/or view documents on a need basis, while technicians may have view-only access or none at all. Sensitive data will be available only to those deemed to need access: financial records may be accessible only by assigned accountants; employee records may be accessible only by assigned HR administrators. As the business owner, you will be able to set up and modify differential access rights for all of your employees. This will provide each employee with the data needed to function in his or her specific role, but still have everything centrally located and protected on the server. When you initially set up your own computer, you create a local domain to give certain user accounts access to whatever you might have stored on your computer. This is just a broader approach since your entire office will be networked and working off of a single “computer” in a sense. There are a lot of great features from the idea that your office is working off of the server’s domain. Firstly, if you are working under the server’s domain and not simply access the drives off the network there is an improved speed when accessing company documents, backups, images or anything else you might have stored on the server. Secondly, if every computer in your office is setup on that domain, anyone is able to use a computer and personalize it in their own way if needed just by logging in with their account. This is an ideal setup for someone that might have multiple part time employee’s that share a single computer on different days of the week. Given each of those employee’s a personalized setup and documents specific while still operating off the same computer. As stated above, most companies require an active VPN connection to access their documents offsite. But are there any additional remote services a server can provide besides just being able to access my documents? The answer is yes and remote services do not just stop at accessing documents. There are options additionally to provide a customer with a direct access to their computer at the office and not just the server. Or if needed you also have the option to provide your smart phones and tablets with access to and from the server since most companies employee the use of tablets for technicians out in the field. As stated above there are countless perks to having a server setup at your office. Between the security, safety and reliability to having a server, alongside all the unique features that comes from a server. There is no reason why you should not be looking to have one in your office if you don’t have one already. For any additional questions and concerns, feel free to call the specialists over here at Houston PC Services for any additional questions you might have about servers or to schedule an appointment to have one setup at your office today!